After lifting the veil on Willard’s Word to reveal The Big Fudge its time to progress to Willard Libby’s core assertion that two atoms of Carbon 14 are formed every second for each square centimetre of the Earth’s surface. The underlying science for this assertion is detailed in Willard Libby’s History of Radiocarbon Dating from 1967. Libby’s explanation starts by detailing how secondary neutrons are produced [amongst other things] in an atmospheric air shower that is triggered when a high energy cosmic ray strikes the nucleus of an atom in the atmosphere. An air shower is an extensive (many kilometres wide) cascade of ionized particles and electromagnetic radiation produced in the atmosphere when a primary cosmic ray (i.e. one of extraterrestrial origin) enters the atmosphere. The term cascade means that the incident particle, which could be a proton, a nucleus, an electron, a photon, or (rarely) a positron, strikes an atom’s nucleus in the air so as to produce many energetic hadrons. The unstable hadrons decay in the air speedily into other particles and electromagnetic radiation, which are part of the shower components. The secondary radiation rains down, including x-rays, muons, protons, antiprotons, alpha particles, pions, electrons, positrons, and neutrons. Libby’s explanation continues by detailing how the cosmogenic isotope Carbon 14 is produced in the atmosphere via the (n-p) reaction when a secondary neutron collides with an atom of nitrogen. The (n-p) reaction is an example of a nuclear reaction. It is the reaction which occurs when a neutron enters a nucleus and a proton leaves the nucleus simultaneously. For example sulfur-32 and nitrogen-14 both undergo this reaction when bombarded with neutrons, thus forming phosphorus-32 and carbon-14. By measuring cosmogenic isotopes, scientists are able to gain insight into a range of geological and astronomical processes. There are both radioactive and stable cosmogenic isotopes. Some of these radioisotopes are tritium, carbon-14 and phosphorus-32. Libby illustrates his explanation with a graph detailing how many neutrons have been counted [per minute] at various altitude levels up to [about] 100,000 feet [30,480 metres]. Libby found that the neutron “count rate increased with altitude to a maximum” of about 90 per minute “at some 50,000 ft, after which it fell off again”. However, to arrive at his “one or two atoms of carbon-14” per second per square centimetre Libby draws a veil over the atmosphere and uses a count from the Earth’s surface “to estimate”. In his first reference to this work Korff [5a] pointed out how the (n, p) reaction on nitrogen would undoubtedly make carbon-14; from the data of Korff and Hammersmith [5b] it was possible to estimate that, on average, one or two atoms of carbon-14 would be produced in this way each second for each cm2 of the Earth’s surface. Libby’s quoted source [5b] is The Multiple Production of Neutrons by Cosmic Radiation by S. A. Korff and B. Hamermesh  which reports upon their study “at the Mount Evans Cosmic Ray Laboratory at an elevation of 14,155 feet”. 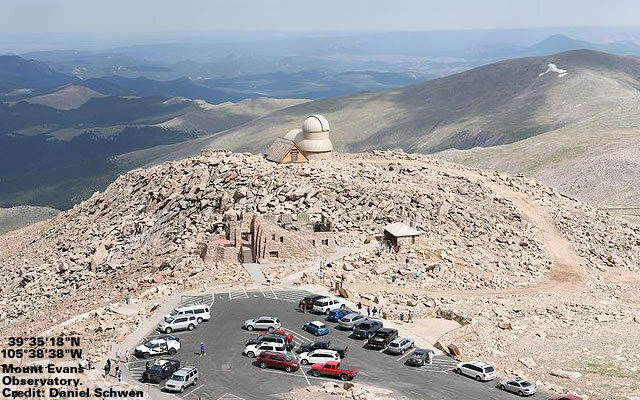 The easy access to the summit provided by the Mount Evans Highway has made it a popular location for scientific research. Arthur H. Compton conducted pioneering research on Cosmic Rays on the mountain in 1931, shortly after the road to the summit was completed. The University of Denver built a pair of A-frame buildings on the summit to house cosmic-ray researchers. By the 1950s, Mount Evans, the Aiguille du Midi, the Pic du Midi and the Jungfrau were considered the premier locations for high-altitude physics experiments. Quite how Willard Libby estimated “one or two atoms of carbon-14” per second per square centimetre based upon the results Korff and Hamermesh is not revealed. The study was made by operating two large neutron counters (15 cm diam., 150 cm long) at the Mount Evans Cosmic Ray Laboratory at an elevation of 14,155 feet. It was of the order of 0.1 count per minutes, as compared to around 30 counts per minute of cadmium difference when the two counters were connected in parallel as single counters measuring total neutron intensity. This suggests that neutrons are sometimes produced, several at a time, in nuclear disruption processes produced by cosmic radiation. Trying to verify Willard Libby’s claimed “one or two atoms of carbon-14” per second per square centimetre is an interesting exercise. When it comes to the neutron count Wikipedia goes into full Whimsical Whitewash mode. Wikipedia is more helpful when it comes to Carbon 14. Apparently, 59 years after the launch of the “radiocarbon revolution” in archaeology [during 1949] the rate of Carbon 14 production was still “poorly known” and didn’t agreed with the models “very well”. As of 2008, the rate of carbon-14 production was poorly known – while the reaction can be modelled or the current concentrations and the global carbon budget can be used to backtrack, attempts to directly measure the production rate had not agreed with these models very well. For example, two wood samples taken from the tombs of two Egyptian kings, Zoser and Sneferu, independently dated to 2625 BC plus or minus 75 years, were dated by radiocarbon measurement to an average of 2800 BC plus or minus 250 years. These measurements, published in Science in 1949, launched the “radiocarbon revolution” in archaeology, and soon led to dramatic changes in scholarly chronologies. Unsurprisingly, Wikipedia still manages to quote production rates for the “poorly known” Carbon 14 to be somewhere between 2.05 and 2.20 atoms per second per square centimetre. 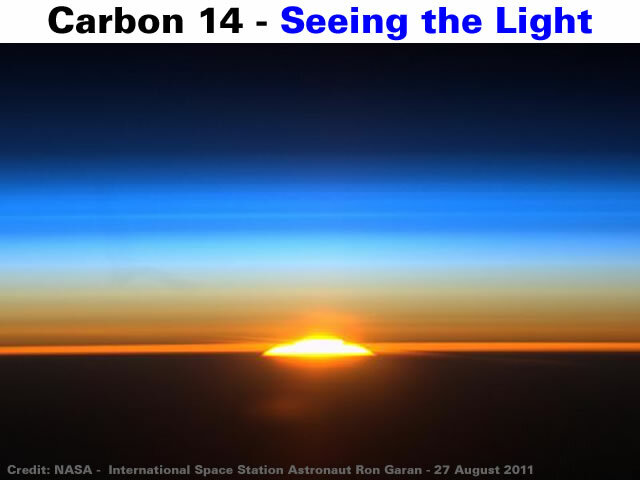 The National Physical Laboratory is more forthcoming when it comes to the “poorly known” Carbon 14 because they acknowledge there are latitudinal differences and quote a Carbon 14 production rate of 4 atoms per second per square centimetre at a latitude of 45° when solar activity is high. The “long-term all-Earth average” of 2.4 atoms of Carbon 14 per second per square centimetre provided by the National Physical Laboratory indicates that Willard Libby underestimated Carbon 14 production rates by about 16%. Additionally, because Carbon 14 production is associated with “solar activity” and “unusual” events it means that Libby’s claims of constancy are undermined “by about 20%” unless the organic specimen had a long life span that could somehow average out the Carbon 14 fluctuations that are experienced during the [roughly] 11 year solar cycles. During the course of the 11-year sunspot cycle, the flux of neutron-generating particles near sea level varies by about 20%, being highest in years of low solar activity (e.g. 1954, 1965, less well-defined in 1977, 1987), though the variation is far from smooth. 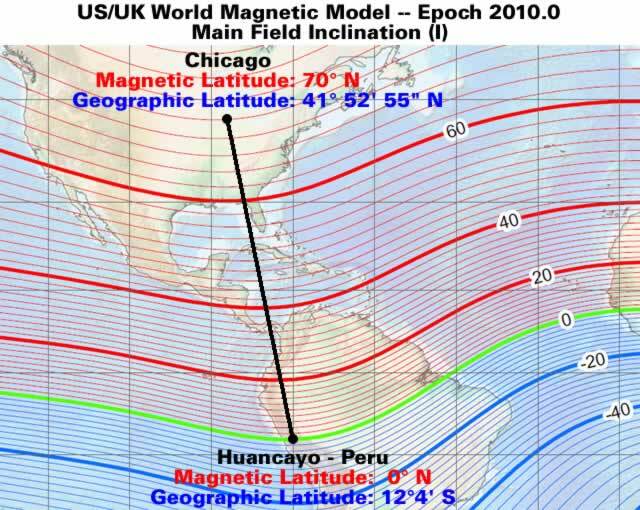 Flux minima occurred in 1947, 1958, 1969, 1982. Solar cycles have an average duration of about 11 years. They have been observed (by changes in the sun’s appearance and by changes seen on Earth, such as auroras) for hundreds of years. Occasional spikes are possible; for example, there is evidence for an unusual 10-fold increase of the production rate in AD 774–775. There is also an unanswered question regarding the impact of lightning upon Carbon 14 production. The National Physical Laboratory uses a conversion factor of two-thirds when estimating the production of atmospheric Carbon 14 from neutrons. 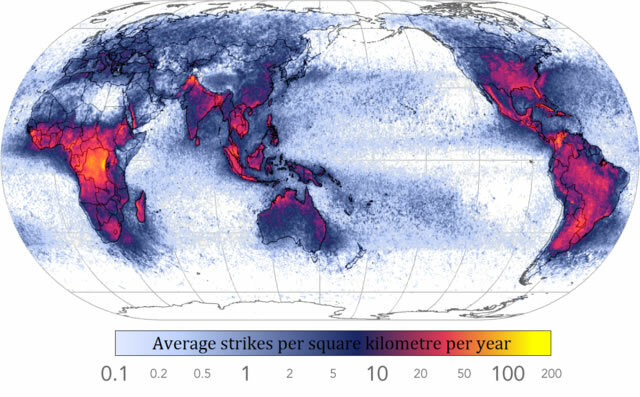 Therefore, geographic areas that experience high rates of lightning should be expected to have slightly elevated levels of Carbon 14 [on average]. Intriguingly, Willard Libby sidestepped this issue when he benchmarked ancient Egyptian artefacts because Egypt appears to experience a very remarkable lack of lightning. Ironically, by using the count of neutrons produced by cosmic rays at the Earth’s surface [Mount Evans] Libby implicitly acknowledged that his assertion that the “continuous labelling” of the biosphere by Carbon 14 is “terminated at death” is not the whole truth. The real beginning of the history of radiocarbon dating as such was in the realization that the cosmic-ray production of radiocarbon in the high atmosphere leads to a continuous labelling of the biosphere and living matter, which is terminated at death. This is because cosmic rays that reach the Earth’s surface collide with atoms [to produce neutrons which can produce Carbon 14] above and below ground level. Therefore, when a collision occurs within a biosphere host any resulting neutrons may react with nitrogen to produce Carbon 14 regardless of whether the biosphere host is dead or alive. The major components of a cosmic-ray extensive air shower (cascade), showing secondary particle production in the atmosphere and rock (modified from Allkofer and Grieder, 1984; Clay and Dawson, 1997). Furthermore, the more powerful cosmic rays act as bunker busters that can penetrate rock [and probably pyramids] before they produce neutrons which can trigger the formation of Carbon 14 below ground [or in a buried biosphere body]. Adding an extra twist to the Radiocarbon Dating saga is the observation that Carbon 14 production is not limited to the (n-p) reaction that is triggered when a neutron collides with Nitrogen 14. Unsurprisingly, Wikipedia prefers to draw a veil over the Oxygen 16 reactions because the natural abundance of Oxygen 16 is 99.76% and the lower atmosphere contains 20.946% Oxygen. Therefore, even the National Physical Laboratory value of 4 atoms of Carbon 14 per second per square centimetre at a latitude of 45° is misleading because their carefully worded information fails to mention Oxygen 16 reactions. However, when the issue of latitudinal variations in Carbon 14 is raised both Willard Libby and the mainstream enjoy applying some fudge. Willard Libby’s fancy for fudge is especially well demonstrated whenever the issue of latitude is raised because he [again] seamlessly switches into Geomagnetic Latitude mode. The problem with Willard Libby’s illustration is that it only displays the latitudinal pattern of neutrons between [roughly] 12° S and 41° N based upon the work of John Alexander Simpson [who also worked for the University of Chicago]. In 1946 Simpson developed a special interest in cosmic rays, which very little was known about at the time as the field which was still in the process of being established, including their origin. His research on cosmic ray neutrons in the lower atmosphere was developed upon its founding by Serge Korff before World War II. Simpson in his research contributed the discovery that the latitude effect seen with neutrons is around 20 times greater than with ionization chambers in 1949. In 1951 he found that the time variations are much greater as well. He had recognized the potential of the neutrons and the lower energy cosmic ray particles for exploring the causes of the time variations. That year he also invented the neutron monitor to fulfill the need for a stable ground-based neutron detector. In doing so, he established neutron monitor stations at various locations including Peru, Huancayo, Mexico, Mexico City, New Mexico, Sacramento Peak, Colorado, Climax, and Chicago Illinois. A more complete picture of the observed latitudinal variations in Carbon 14 is provided by the data collected during a voyage to Antarctica by the R/V Andenes in 1989-90. The data from the southern hemisphere [return leg] of the R/V Andenes voyage can be used to create a [simple] symmetrical overview of the latitudinal distribution of Carbon 14. This intriguing latitudinal pattern for the distribution of Carbon 14 underlines the many errors and omissions that are embedded in Settled Science and Radiocarbon Dating. Gallery | This entry was posted in Astrophysics, Cosmic Rays, Earth, Moon, Radiocarbon Dating, Science. Bookmark the permalink.